I love capturing family photos. We tend to take them twice a year – just before Christmas, and again in the Spring, around Easter. 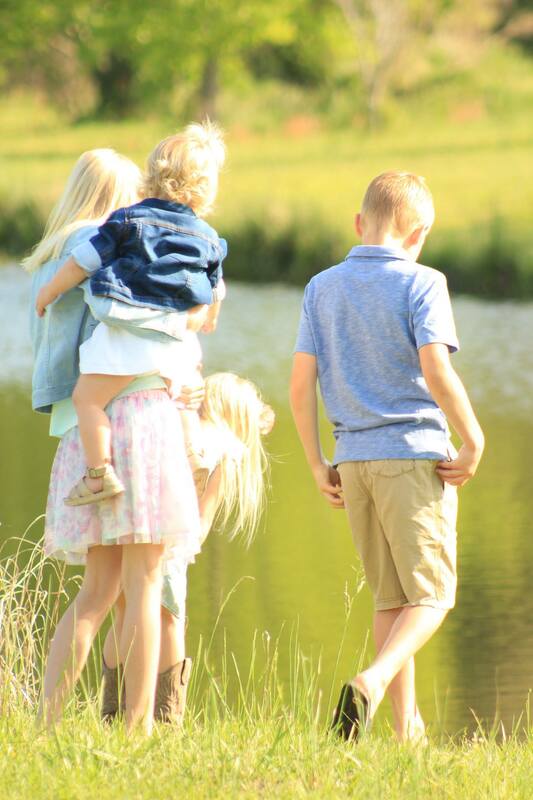 With young children, taking family photos every 6 months really marks how they have changed so that we can look back and enjoy those stages of life forever. What I’ve found with a large family, though, is that selecting a wardrobe for family photos and holidays can be quite tricky. It’s simple to match outfits for just two children but once you get into the 4 children or more range – good luck! 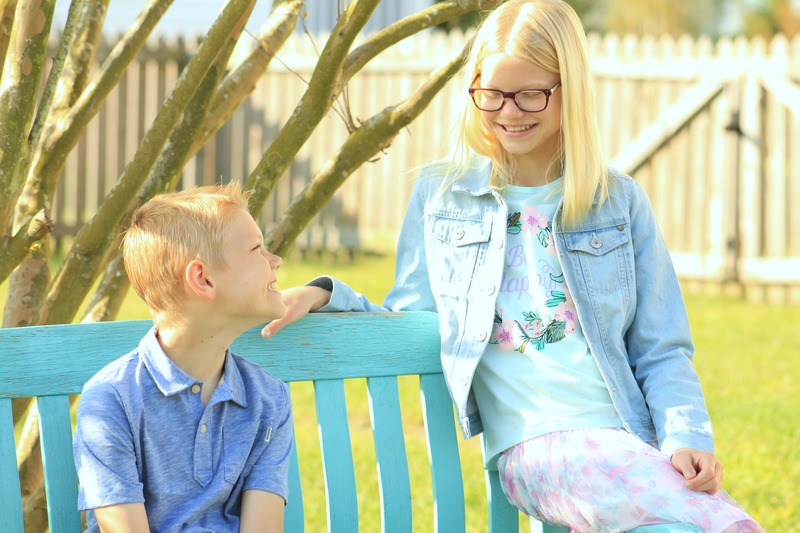 With children of various ages and genders it can often be impossible to select clothing that will coordinate, work for everyone’s style, and be a great fit! 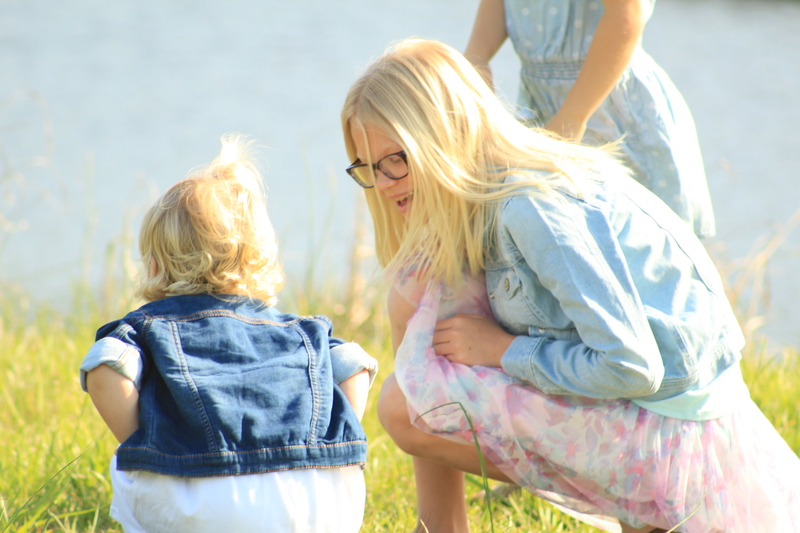 Spring time is one of my favorite times of year to take family photos – everything has lightened up, the suns shining, flowers are blooming – it’s a great time to clean our the kids’ closets and get outside to play! 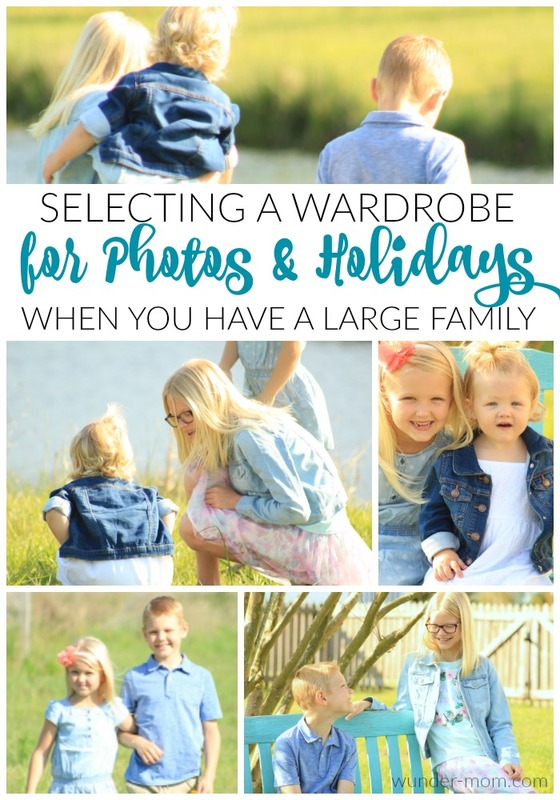 I have a few tips I use when selecting a wardrobe for my own family photos and Holidays, like Easter, that I want to share with you all. Sure it’s easy to stick everyone in a white shirt and jeans but that usually isn’t what will look best in a family photo, and it certainly won’t show off your kids’ unique styles. 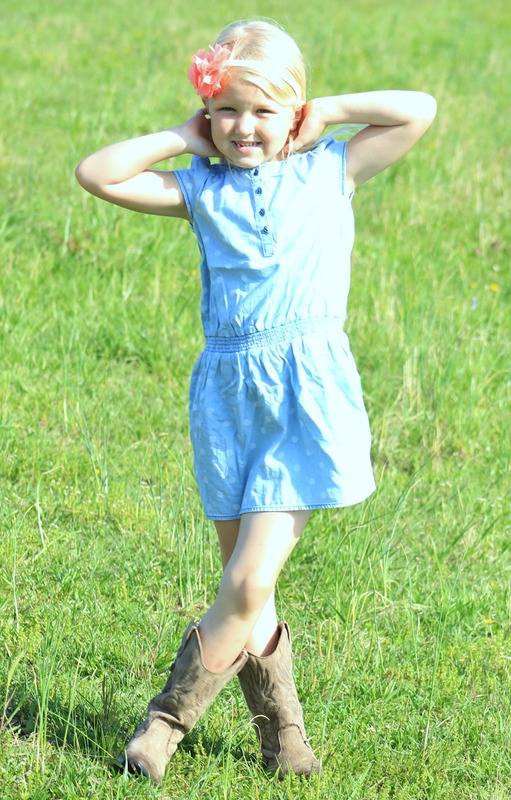 These are my tips for selecting clothing that will coordinate everyone while still allowing each child to have their own unique style. Don’t make the mistake of putting you children in a monochromatic wardrobe, such as everyone in a white Tshirt. Instead, choose a color pallet. 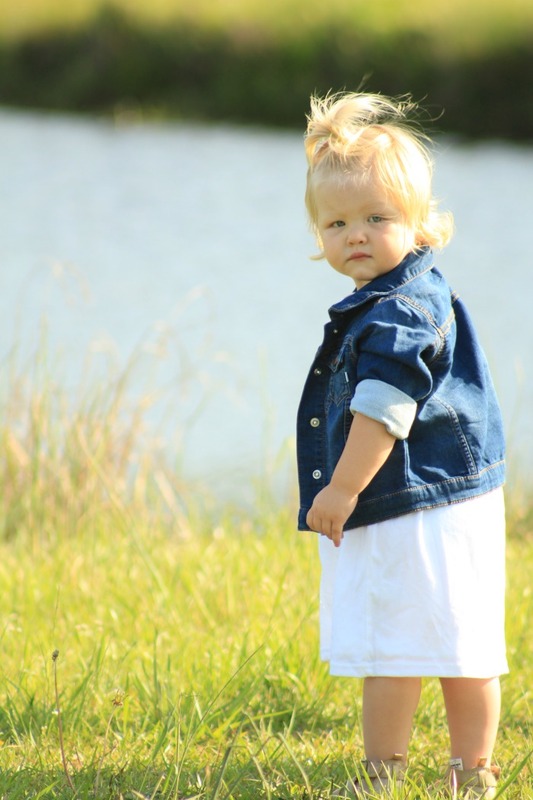 For our spring photos I decided to use shades of denim and blues tied together with pops of lighter color such as pale pink, coral, tan. 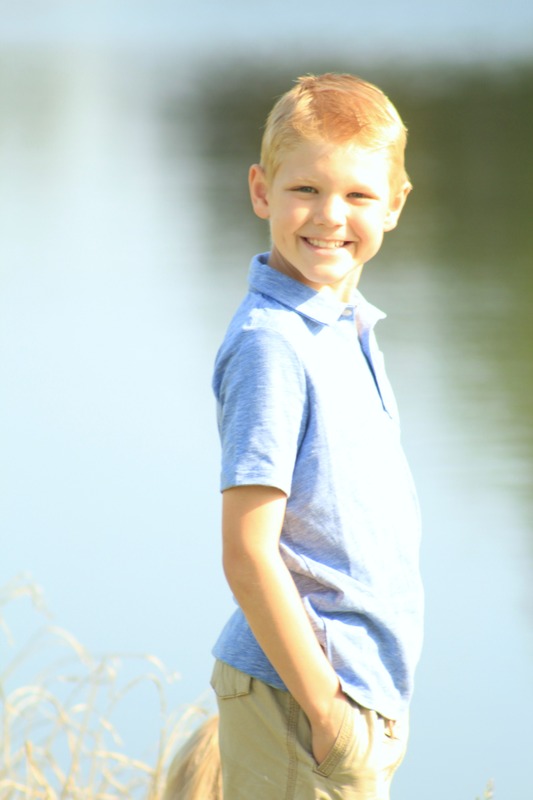 Where you will be taking photos and what time of year it is will greatly influence your choice of colors – since these are our spring photos we went with a lighter color pallet, but for winter or Christmas photos I may choose something darker. Holiday clothing often calls for special occasion attire but that doesn’t mean you can’t still purchase pieces that can be worn time and time again. Choosing piece such as the denim jackets shown in our photos instead of something holiday or season specific, allows you to get use out the clothing. When you’re dressing four children nothing will blow your budget faster than selecting a wardrobe that will never be worn again. Every child is different and unique with their very own style and preference. My son is a T-shirt and sweatpants kind of kid. He loves to run and climb and get dirty. Putting him in a fancy button down or sweater just isn’t happening – but for family photos or holidays dressing up a bit is required. I look for soft cottons or comfortable waistbands that still allow him to be him. When selecting a wardrobe choose items that fit the personalities of each child, after all you want to capture them just as they are! 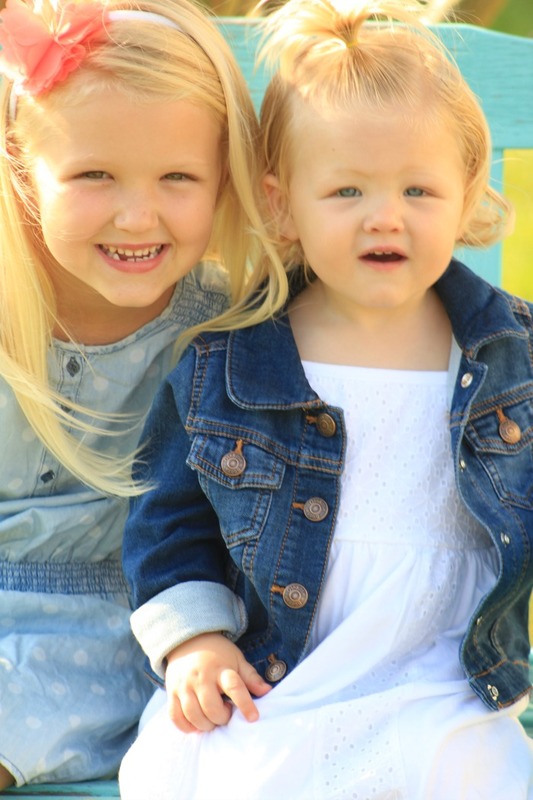 You know those adorable denim jackets my girls are wearing? 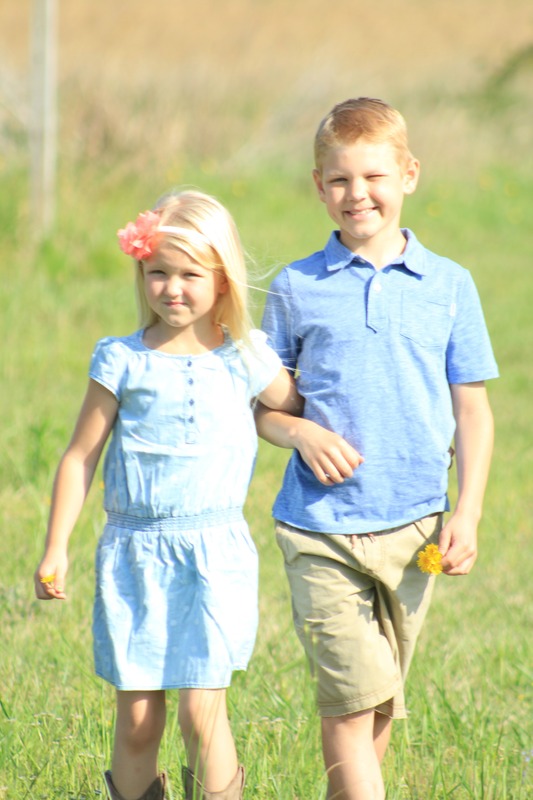 Chances are you’re going to see them in our Fall photos too! Before I select a wardrobe for our family photos I go through to see what classic pieces we already have, such as denim jackets. And a plus? They are classic wardrobe pieces that we can hand down! Once I’ve paired out the pieces we already have I go and shop for what we need to add in – maybe a new dress for one child or a matching shirt for another. This is my biggest tip – shop a store that carries all of the kids sizes and quality clothing! 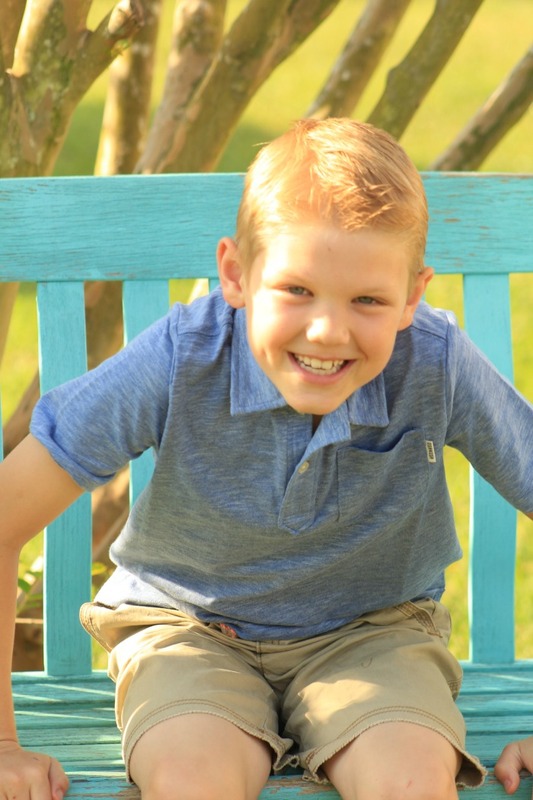 When you are dressing boys and girls ages 1 to 11, finding a clothing store that carries everything you need can be tricky. We LOVE Oshkosh B’gosh! They carry size newborn to 14!! It is so great to shop one store with coordinating outfits and colors, quality clothing, in ALL of the kids sizes. I can get clothing that is stylish, comfortable, and perfect for the kids this spring with one stop. If you cannot find a store near you, they have a great online shopping experience as well. 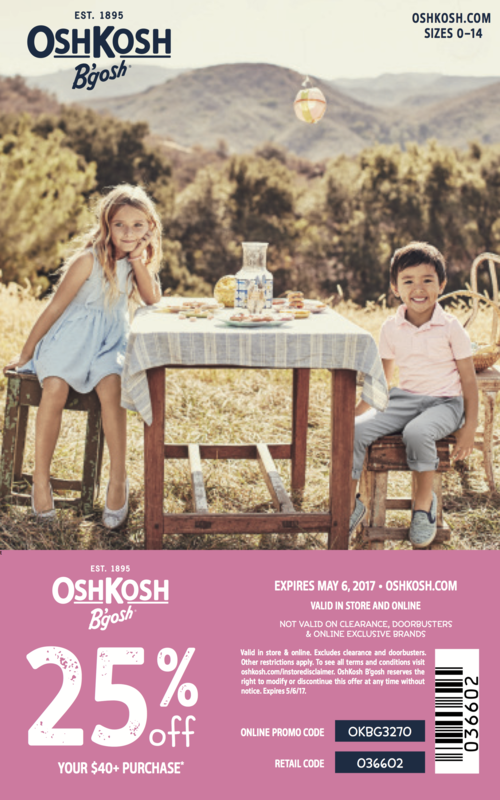 When shopping Oshkosh B’gosh be sure to use this exclusive coupon code! !